Full Moons had given names in many ancient cultures. The Full Moon names we use today often reflect the changing seasons and nature, like Harvest Moon, Strawberry Moon, or Snow Moon. In ancient times, it was common to track the changing seasons by following the lunar month rather than the solar year, which our modern calendar is based on. 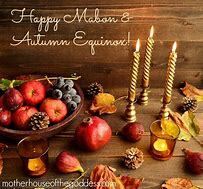 For millennia, people across Europe, as well as Native American tribes, named the months after features they associated with the seasons in the Northern Hemisphere, and many of these names are very similar or identical. Some Native names are often attributed to tribes who lived in a vast area stretching from New England to Lake Superior, and whose languages are related. They are sometimes called Algonquian or Algonkian peoples, but they are not to be confused with the Algonquin tribe who lives in Canada. However, other sources list completely different Native American Moon names. Some years have 13 Full Moons, which makes at least one of them a Blue Moon, as it doesn’t quite fit in with the traditional Full Moon naming system. However, this is not the only definition of a Blue Moon. About every 19 years, there is no Full Moon in February. This is one of several definitions of the term Black Moon. The other definitions refer to a New Moon which does not fit in with the equinoxes or solstices, similar to a Blue Moon. When the Julian calendar was introduced in 45 BCE, Latin month names gradually became more common in Europe. However, the ancient Pagan names were not forgotten. Old High German month names were introduced by Charlemagne (Charles the Great) who ruled as King of the Franks and later Emperor of the Romans from 774 to 814. And Old English or pre-Christian Anglo-Saxon month names were collected by the English Monk Venerable Bede in 725.